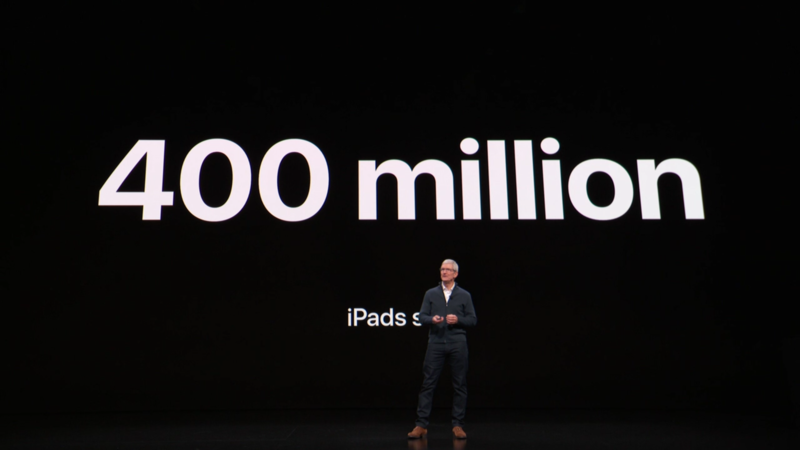 At Apple’s fall hardware event on Tuesday, Tim Cook took the stage to announce some a variety of iPad statistics before he and the company showed off the new iPad Pro. Cook stated that Apple has sold 400 million iPads since the original launched in 2010. Another interesting statistic is that Apple has sold more iPads than its competitors are selling regular consumer notebooks.